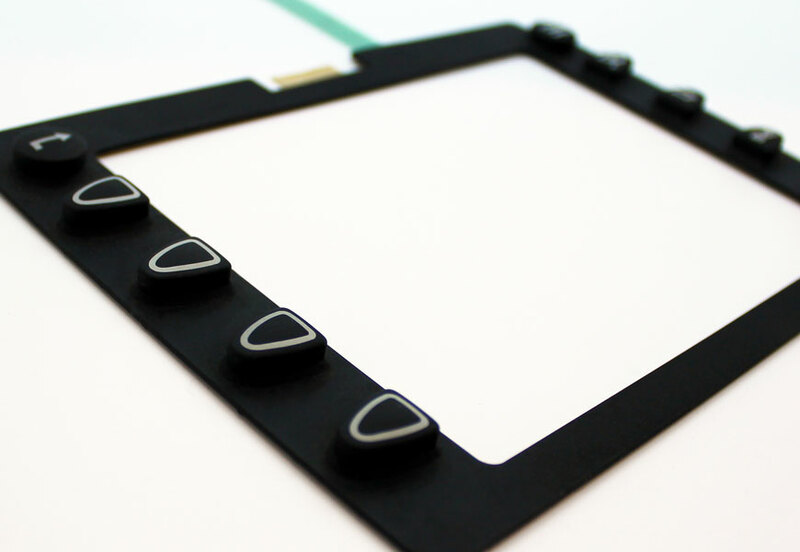 Rubber keypads are a durable alternative to low travel membrane technologies offering an enhanced tactile experience to the end user with a greater depth of switch travel achievable. 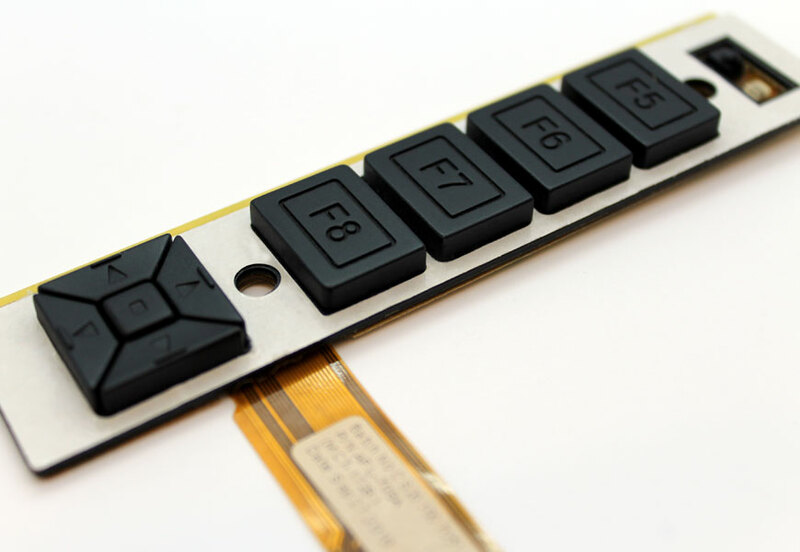 With the ability to include complex components such as LED and EL backlighting rubber keypads accommodate greater tactile forces applied to the switch compared to low travel counterparts. This rugged construction can make them an ideal choice in harsh or heavy traffic environments. 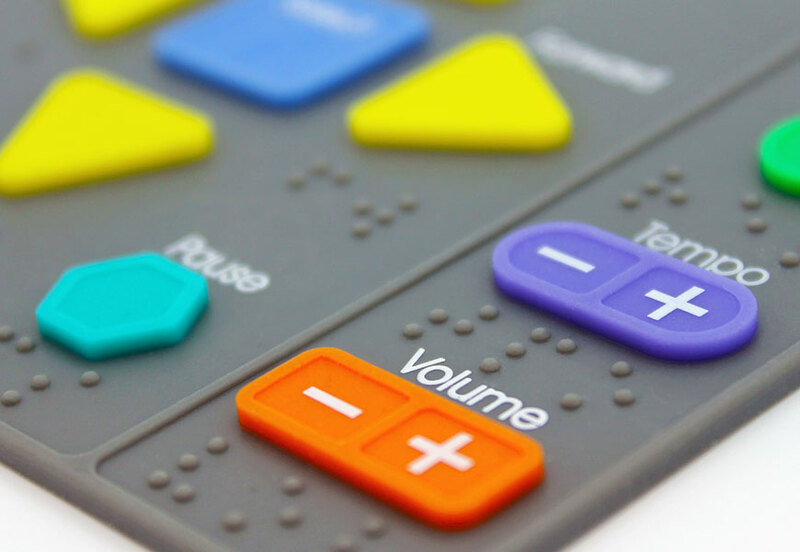 Multi-coloured rubber keypad with braille button detailing. Rubber keypad with integrated Flexi-circuit. Assemebled printed rubber keys and plastic housing. Single piece of rubber used to create a sealed keypad with multiple coloured buttons. Rubber keypad for video screen device. 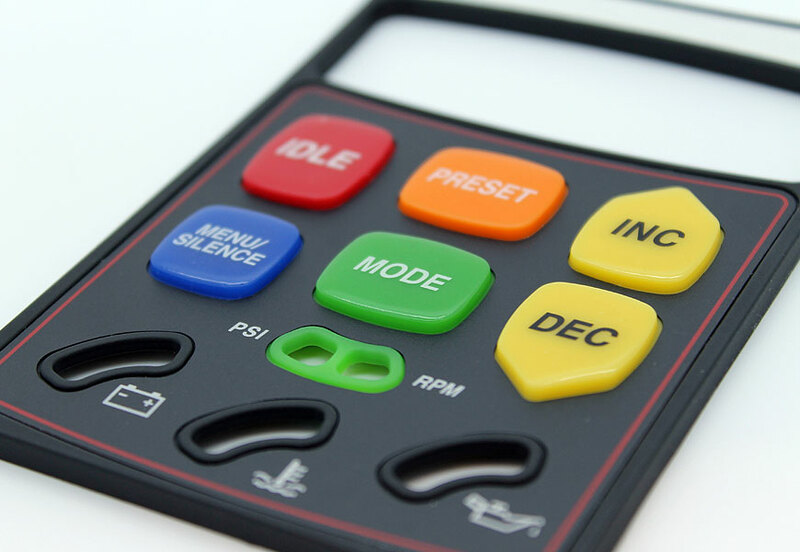 In line with this durability, rubber keypads also offer robust protection to the underlying equipment, and the option to provide totally sealed systems, means sensitive electronics or mechanics are protected in challenging environments, from dust, liquids or particulates which may otherwise cause damage. 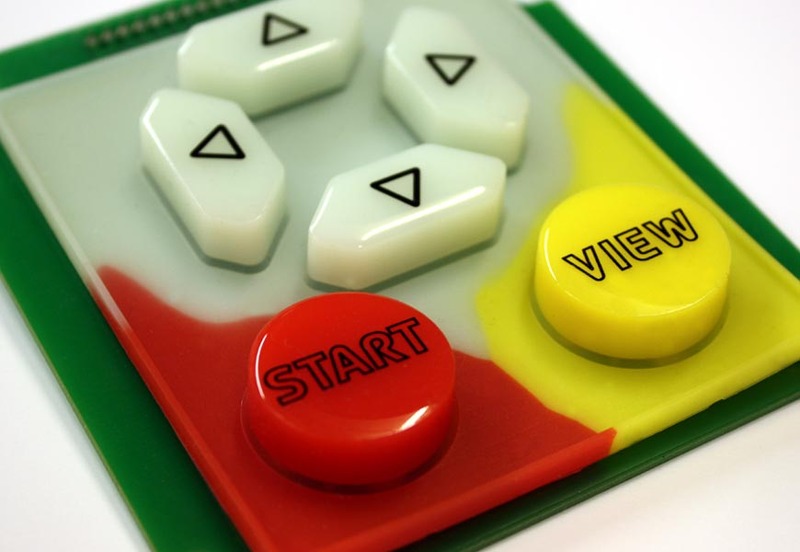 Used in conjunction with both membrane circuits and printed circuit boards, rubber switching systems are available in a wide variety or combination of base colours, which can then be printed or capped with your chosen graphics for a totally unique look. 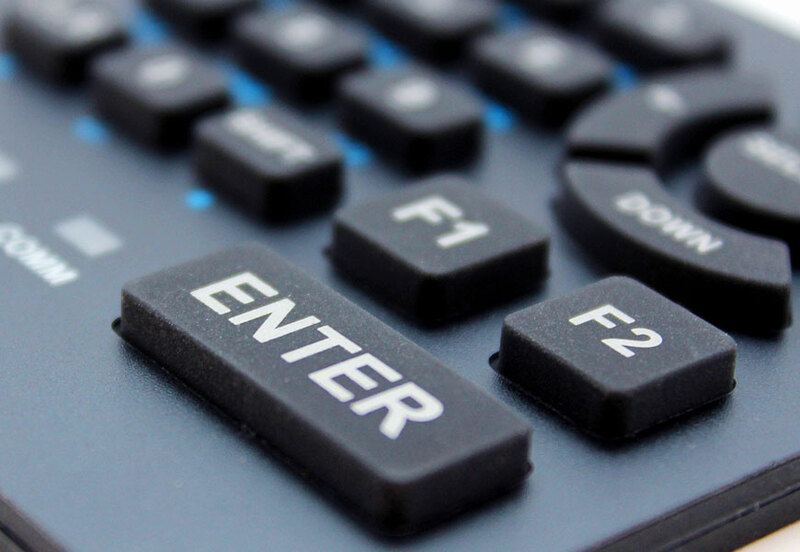 Capable of being moulded into virtually any shape, rubber keypads are ideal if you require a durable interface option to fit a complex or unusual shape.